Remember the old song, Kids Under Construction, by Bill and Gloria Gaither? Might it be we’re even harder on ourselves than God? 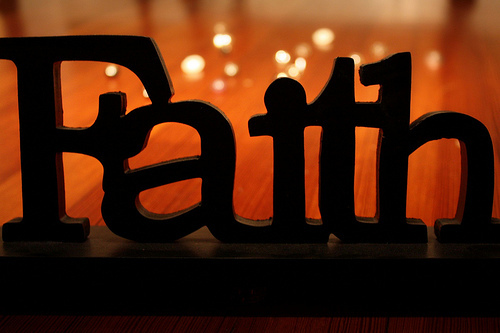 Might he actually take pleasure in our imperfectly right efforts toward spiritual growth? Think of Charlie Brown’s small and scraggly Christmas tree. Imperfect? Definitely. Heart-warming and charming nonetheless? Oh, yes. Think of the pleasure listening to a young child sing—off-key, with unsteady rhythm and incorrect words. But everybody loves the performance anyway. Think of dust—how it shrouds our belongings and irritates our allergies. But sprinkle a bit in a sunbeam and instantly we’re mesmerized by the magical display of glitter and shine. Think of the wrong word written or spoken at the right time and how the result can produce uproarious laughter. And that brings me to Mrs. Bisso’s muffins. Mrs. Bisso was a member of that same church, and lived down the street. She loved to bake. It wasn’t long after our arrival before Mrs. Bisso began to regularly supply us with muffins. Sometimes she’d call at 6:30 or so in the morning to let us know she’d be over in a few minutes with fresh muffins for our breakfast. Hold the oatmeal! Problem is, Mrs. Bisso’s muffins were always over-baked—rather thoroughly. That meant, even if we cut off the black bottoms, the sharp, charred flavor still permeated all the way through to the tops. But dear Mrs. Bisso took such pleasure in baking for us, we continued to enthuse over her burnt offerings—batch after batch after batch. All these thirty-some years since that time, we’ve occasionally remembered and smiled nostalgically about Mrs. Bisso’s muffins. After all, her heart was in the right place, and she gave so lovingly and generously of her time and effort. You see? There is much for us to celebrate in the imperfectly right. And I think God does, too. Perhaps the sharpe burnt flavor that remained was the lesson..that there are days when nothing seems right but step forward in love and in time that flavor turns sweet. Love The Lord your God with your whole Heart..then love your neighbor with the same heart..how easy and hard at the same time. Always under construction..that’s me. Love the lesson you drew from burnt muffins! Thank you for your insight, humility, and honesty. We may still be under construction, Loraine, but think how much better we look now, after a few decades of refurbishing by our Designer! And he’s not finished with us yet. Someday we’re going to be GORGEOUSLY complete! Thanks, how nice to remember. The wildflower bouquets as a little one, you would have thought I had given a dozen roses. Love of a child. Keep your blogs coming. Love Tedi Miss you. Oh, yes! Thank you for reminding me of those imperfectly-right dandelion bouquets I picked for my mother when I was a little girl. She, too, pretended they were as beautiful as roses! Love and miss you, too, Tedi. This brings to mind the bouquets that one of my great-nieces provided me with my perennials that were not supposed to be picked! LOL!!! It was the thought that counts! And I laughed over the song ‘Tis so sweet to RUST in Jesus’! 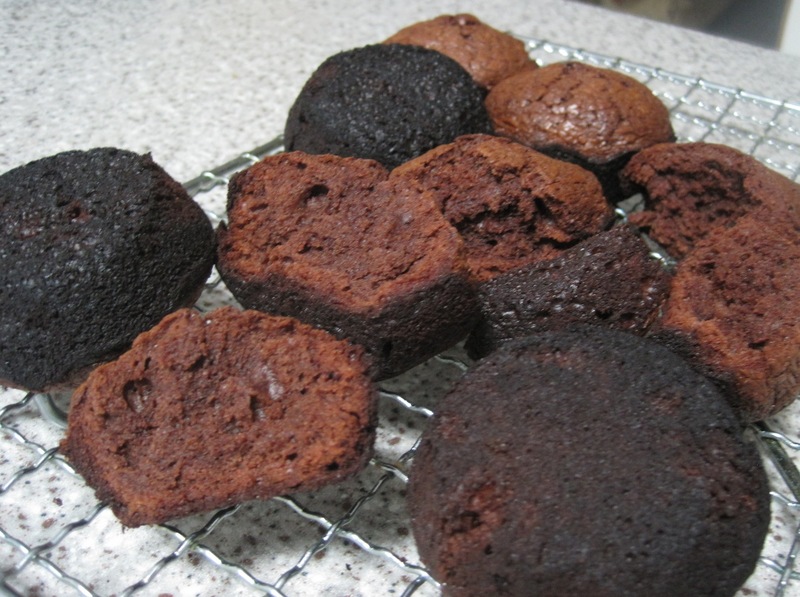 And those muffins…burnt offerings, indeed! Finally, it is such a sweet reality that God does not expect perfection…that we are ‘allowed’ to be under construction…always room for improvement guided by the Lord Himself. Well said, Cheri. Our construction IS guided by the Lord Himself (Philippians 1:6). We can rest in the assurance that the materials and timetable he uses will be in our best interest. I am still a Work in Progress. Never perfect. But, oh, your heart is definitely in the right place. God surely smiles broadly upon YOU, my dear!